"Ecological community" redirects here. For human community organized around economic and ecological sustainability, see ecovillage. Community ecology or synecology is the study of the interactions between species in communities on many spatial and temporal scales, including the distribution, structure, abundance, demography, and interactions between coexisting populations. The primary focus of community ecology is on the interactions between populations as determined by specific genotypic and phenotypic characteristics. Community ecology has its origin in European plant sociology. Modern community ecology examines patterns such as variation in species richness, equitability, productivity and food web structure (see community structure); it also examines processes such as predator–prey population dynamics, succession, and community assembly. On a deeper level the meaning and value of the community concept in ecology is up for debate. Communities have traditionally been understood on a fine scale in terms of local processes constructing (or destructing) an assemblage of species, such as the way climate change is likely to affect the make-up of grass communities. Recently this local community focus has been criticised. 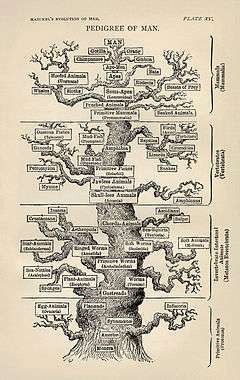 Robert Ricklefs has argued that it is more useful to think of communities on a regional scale, drawing on evolutionary taxonomy and biogeography, where some species or clades evolve and others go extinct. Clements developed a holistic (or organismic) concept of community, as it was a superorganism or discrete unit, with sharp boundaries. Gleason developed the individualistic (also known as open or continuum) concept of community, with the abundance of a population of a species changing gradually along complex environmental gradients, but individually, not equally to other populations. In that view, it is possible that individualistic distribution of species gives rise to discrete communities as well as to continuum. Niches would not overlap. In the neutral theory view of the community (or metacommunity), popularized by Hubbell, the abundance of a population of a species changes not because of the environmental conditions and its niche, which could overlap with others. Each population would have the same adaptive value (competitive and dispersal abilities), and local and regional composition and abundance would be determined primarily by stochastic demographic processes and dispersal limitation. Species interact in various ways: competition, predation, parasitism, mutualism, commensalism, etc. The organization of a biological community with respect to ecological interactions is referred to as community structure. Species can compete with each other for finite resources. It is considered to be an important limiting factor of population size, biomass and species richness. Many types of competition have been described, but proving the existence of these interactions is a matter of debate. Direct competition has been observed between individuals, populations and species, but there is little evidence that competition has been the driving force in the evolution of large groups. Interference competition: occurs when an individual of one species directly interferes with an individual of another species. Examples include a lion chasing a hyena from a kill, or a plant releasing allelopathic chemicals to impede the growth of a competing species. Apparent competition: occurs when two species share a predator. 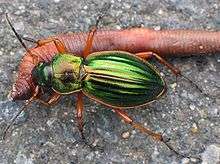 The populations of both species can be depressed by predation without direct exploitative competition. Predation is hunting another species for food. This is a positive–negative (+ −) interaction in that the predator species benefits while the prey species is harmed. Some predators kill their prey before eating them (e.g., a hawk killing a mouse). Other predators are parasites that feed on prey while alive (e.g., a vampire bat feeding on a cow). Another example is the feeding on plants of herbivores (e.g., a cow grazing). Predation may affect the population size of predators and prey and the number of species coexisting in a community. Mutualism is an interaction between species in which both benefit. Examples include Rhizobium bacteria growing in nodules on the roots of legumes and insects pollinating the flowers of angiosperms. Commensalism is a type of relationship among organisms in which one organism benefits while the other organism is neither benefited nor harmed. The organism that benefited is called the commensal while the other organism that is neither benefited nor harmed is called the host. For example, an epiphytic orchid attached to the tree for support benefits the orchid but neither harms nor benefits the tree. The opposite of commensalism is amensalism, an interspecific relationship in which a product of one organism has a negative effect on another organism. A major research theme among community ecology has been whether ecological communities have a (nonrandom) structure and, if so however to characterise this structure. Forms of community structure include aggregation and nestedness. 1 2 Sahney, S.; Benton, M. J. (2008). "Recovery from the most profound mass extinction of all time" (PDF). Proceedings of the Royal Society: Biological. 275 (1636): 759–65. doi:10.1098/rspb.2007.1370. PMC 2596898 . PMID 18198148. ↑ Grime J. P.; et al. (2008). "Long-term resistance to simulated climate change in an infertile grassland". PNAS. 105 (29): 10028–10032. doi:10.1073/pnas.0711567105. ↑ Ricklefs R.E. (2008). "Disintegration of the Ecological Community". American Naturalist. 172: 741–750. doi:10.1086/593002. PMID 18954264. ↑ "What is vegetation classification?". International Association for Vegetation Science (IAVS). Retrieved 8 March 2015. ↑ Verhoef, Herman A. "Community Ecology". Retrieved 8 March 2015. ↑ Holt R.D. (1977). "Predation, apparent competition, and the structure of prey communities". Theoretical Population Biology. 12 (2): 197–229. doi:10.1016/0040-5809(77)90042-9. PMID 929457. ↑ Willey, Joanne M.; Sherwood, Linda M.; Woolverton Cristopher J. (2011). Microbiology. Prescott's. pp. 713–738. Akin, Wallace E. (1991). Global Patterns: Climate, Vegetation, and Soils. University of Oklahoma Press. ISBN 0-8061-2309-5. Barbour, Burke, and Pitts, 1987. Terrestrial Plant Ecology, 2nd ed. Cummings, Menlo Park, CA. Morin, Peter J. (1999). Community Ecology. Wiley-Blackwell Press. ISBN 978-0-86542-350-3. Odum, E. P. (1959) Fundamentals of ecology. W. B. Saunders Co., Philadelphia and London. Ricklefs, R.E. (2005) The Economy of Nature, 6th ed. WH Freeman, USA. Ricketts, Taylor H., Eric Dinerstein, David M. Olson, Colby J. Loucks et al. (WWF) (1999). Terrestrial Ecoregions of North America: a conservation assessment. Island Press. ISBN 1-55963-722-6. Glossary, Status and Trends of the Nation's Biological Resources, USGS.